In the highly competitive travel market, clever hotel and resort operators are always looking for a point of difference to attract guests away from their competitors. Of course, the quality of the resort grounds, the in-house facilities, the location and views, and stylish interiors are all important, but given a level playing field in that regard, it becomes the experience and the ‘little extras’ that can make your property stand out and draw customers to return year after year. One guest amenity that punches way above its weight in terms of cost vs impact are branded beanbags. These versatile beauties can be used in a multitude of ways to enhance your guest’s comfort. Let’s begin outdoors. Beanbags are perfect for fun and relaxation in the pool and can create a ‘personal zone’ in a crowded space your patrons will adore. Picture yourself relaxing in the sun, gently floating on your perfectly sculpted pool lounger, the world and other patrons are far away, and you have found a place of complete bliss. Nearby, the kids are having a ball playing on (and off!) a super-sized King Kong pool float. 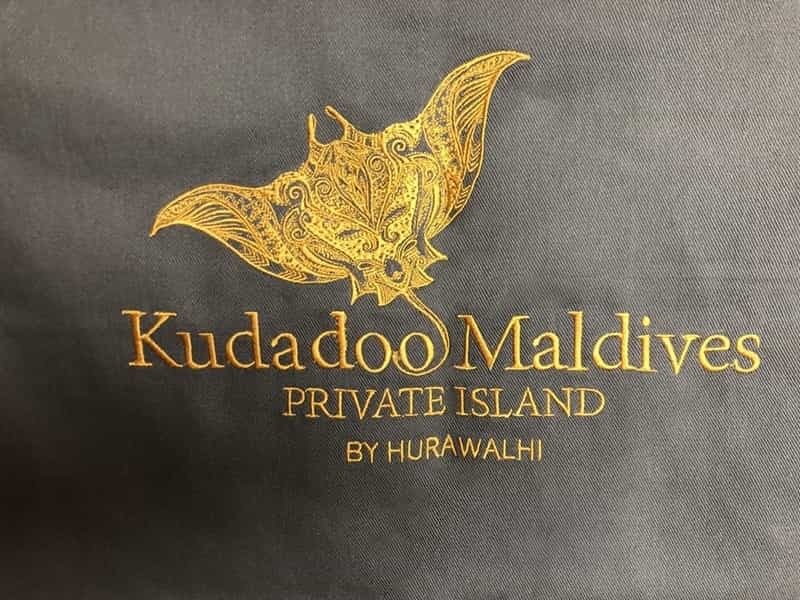 And your resort logo embroidered on the corner embed in their mind to connect your resort with the happiest of memories. Don’t forget poolside or on the beach. 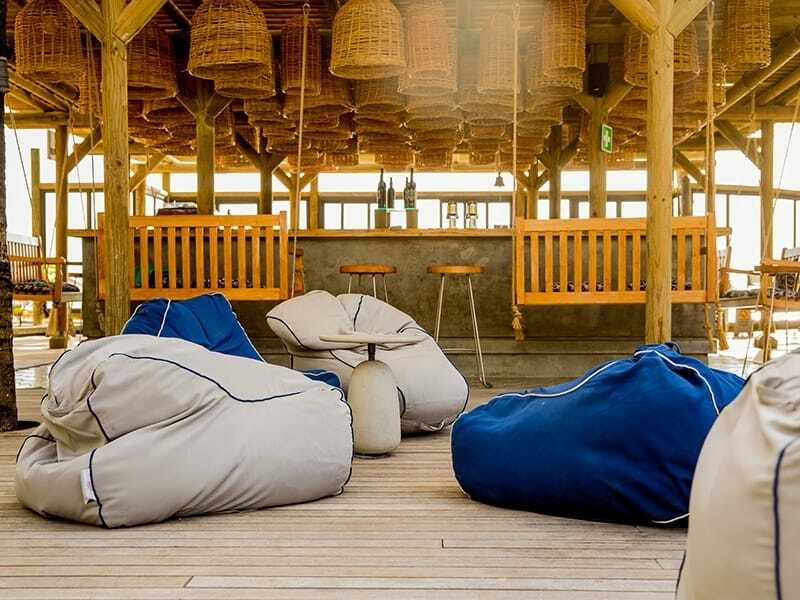 Our spectacular range of outdoor bean bags is both contemporary and resilient. Create a haven where guests can lose themselves in complete tranquillity. The bags are so easy to move around, your patrons can create an intimate social space with their friends to enjoy a cocktail and conversation, or carried into a quiet corner for some reading or to catch up on your social media. 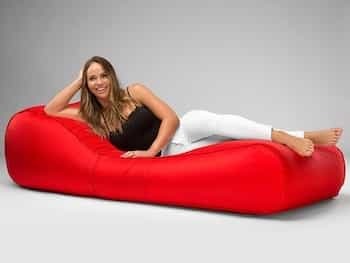 Why not replace some of your heavy and bulky sun lounges with light and super-comfy bean bag lounges which can be easily moved to chase the sun. Your guests will delight in this luxurious alternative. If you want to create a really cool option for patrons in your bar area, consider replacing the table and chairs with an intimate circle of soft cushiony bean bags. The luxury feel will have them enjoying themselves for longer. 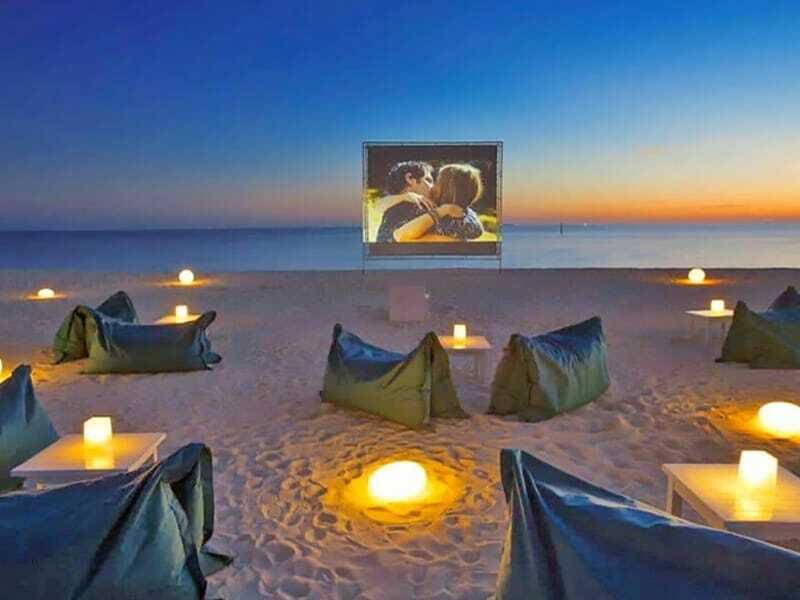 Add a portable projector screen and create a temporary outdoor cinema in the gardens or on the beach in a flash. 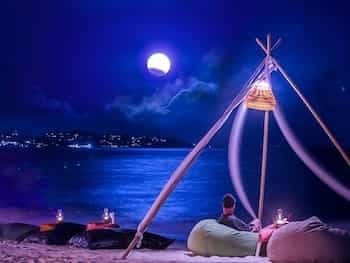 Or create a very special ‘chill-out’ zone to add a unique touch to functions, conferences and weddings. Why not add some bright and colourful bean bags to your kid’s club, playroom and the games room? And if your resort is lucky enough to have a reading room or library, then you simply cannot go past the supreme comfort offered by a place to sit which moulds to your own body shape. Bean Bags R Us can provide you with the ultimate in personalisation. Beginning with your logo or message embroidered or screen printed onto the bag, and ending with the opportunity to have the fabric reflect your corporate colours. One of the true tests of whether or not a bean bag is well made is simply whether or not it’s comfortable to sit on. Cheap materials and cheap filling will not feel as good as a beanbag that has a quality filling and nice material. The most important thing, after all, is whether the beanbag feels nice to sit in. Only a quality beanbag will retain its shape. If you’re using it in a gaming room, make sure that sitting in an upright position is comfortable. On the other hand, if you’re using it in a lounging area, the bag should be cosy, soft, and easy to mould into your own body shape. Also, consider the overall ambience you’re trying to create. You can choose large flat bags for reclining or various lounges as an incredible alternative to a hard sun lounge. For social uses, choose teardrop or chair-shaped bags so your guests can create their own intimate space and relax in supreme comfort. The market is flooded with inferior quality beanbags using very thin materials which are not designed for the serious wear and tear of a commercial environment. In addition, poor stitching can result in seams giving way, creating a mess and a health hazard. It’s a no-brainer – allocate a budget that will extend to only the finest quality materials and manufacture, and your bean bags will last the distance. If you’re purchasing online, you should request to see swatch samples before you buy, so you can check that the material you’re getting is durable. Our beanbags are made from the highest grade and thickness of upholstery and external use fabrics, so they will stand the test of time. Our fabrics are the thickest available, are water and fade resistant, antimicrobial treated, and have a UV protection factor of 50+. You will be able to determine the quality of the bean bag you’re getting from assessing how it’s made. The stitching on the bag is a key indicator. Tight, even stitches are a sign of good craftsmanship. If you’re seeing anything that’s uneven or loose, then you should ditch that option. Our seams are all double-stitched and overlocked so they can endure the harshest treatment. 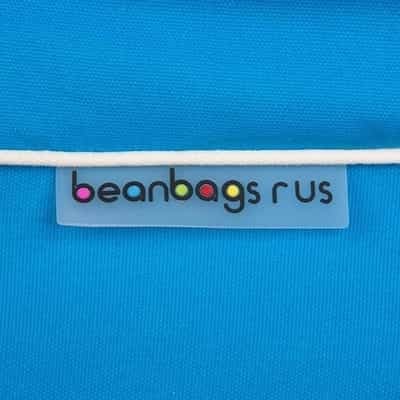 And all Bean Bags R Us products are fitted with quality YKK childproof locking safety zippers as required by law. These guard against children accessing the bean bag filling. Our commercial grade fabrics can be spot cleaned using only water and mild detergent. However, no matter how durable your beanbag is, there will come a point when you want to give it a wash. Some bags feature inner liners to hold the beans so that the cover can be removed for easy cleaning. Others are waterproof and safe to clean every now and then. If you’re looking at a beanbag that you don’t think could stand up to a run through the washer or some other cleaning method, you’re probably looking at one that won’t stick around for the long run. Now that you know all the factors that you should be considering when it comes to bean bags, you’re ready to make your decision. Bean Bags R Us makes it easy for you. All your bean bag options are together in one place, and the quality is guaranteed. You can’t go wrong with whatever size, style or type you choose, because they’ve been proven to last. Go with a brand you can trust, contact us today to discuss how we can bring your vision to life.